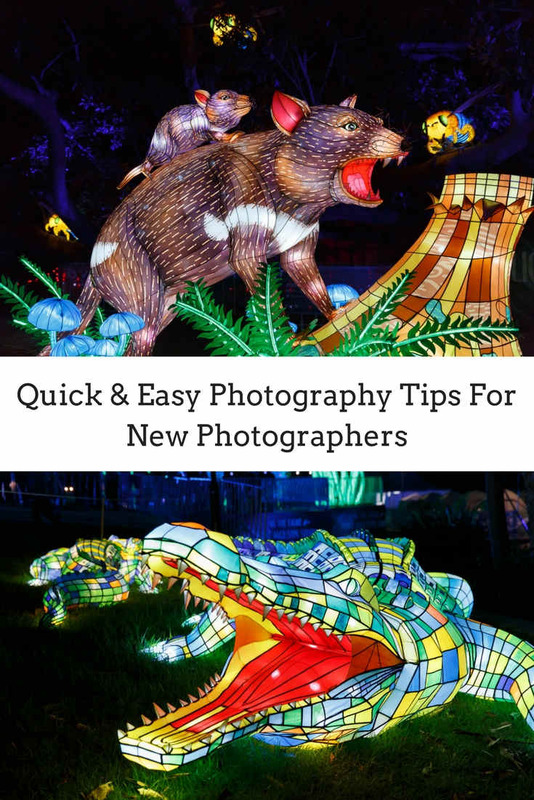 These quick photography tips are easy for the new photographer to learn and apply to their photography. From general photography tips to sport and even mobile phone photography tips this is your handy list of ever growing general photography knowledge for any new starter. Memory cards are cheap to buy, the quality has improved lot years resulting in super fast transfer of your photos From the camera buffer to the memory card and also when transferring to your computer. Make sure to buy named brand cards such as Sandisk, lexar to reduce corrupt photos. If you find your are swapping out your memory cards a lot. Write your name and phone number on the back of all your memory cards. If you do drop one, hopefully they will be returned to you. Use a memory card wallet to organise your memory cards and keep them safe went out photographing. Format all cards in your camera and place them with the logo facing up. When you have used a card place it back in the wallet logo facing down so you know which cards have been used. When going from extreme temperatures, such as hot to cold, place your photography equipment in a zip loc bag so your equipment has time to acclimatize and leave in the bag for at least 15 minutes. Just because the camera has a high megapixel count it doesn’t mean the camera will take better photos. Factors that affect image quality are the lens, the sensor size and the quality of pixels in the sensor and lastly the quality of light you are photographing your subject in. If you’re a beginner photographer don’t be fooled into thinking that you need to have the latest and greatest equipment to take good photos. The easiest way to learn photography like most things is to take it one step at a time. instead of buying new equipment straight away, use what you have already such as a mobile phone camera and learn the basics of composition and using the Rule of Thirds to get more pleasing looking photos. You won’t have to worry about your exposure settings leaving you to think about your subject in the photo. Once you start time to learn good composition upgrading to a camera that allows you to learn how to use a camera in manual should be the next step. A small mirror less camera from Fuji or Sony or even small Compact with dials is also a good starting point. Alternatively you can purchase a DSLR if you want something a little bit more bigger in size and a wider selection in lenses. If you have a camera that you can change the lens. Over time the connections / pins will start to wear or become dirty. This can result in error messages or the lens not performing as normal. A simple way to maintain a good connect between the lens and camera body is to clean the connections with an eraser. A 50mm lens is a great addition to any photography kit. 1.8 is cheap small and versatile lens that once you progressed to a camera that allows you to change lenses can be a great carry around lens. Getting kids involved in photography is a wonderful thing, it teaches them to be creative and keeps them busy. You don’t need to buy an expensive camera to get them started using an old mobile phone is a great starting point. The fact a mobile phone camera is automatic it will allow kids to concentrate on the basics of photography such as composition. some mobile phones also allow you to control other aspects of the camera such as shutter speed and aperture and ISO. When Kids are starting out it’s important they are engaged and having fun. Mobile phone will also give them the ability to edit their photos if they wish using the built-in software that comes with the phone or even installing an app such as Snapseed. Once they start to show competence, progressing to a point shoot, Micro 4/3 or even a small digital SLR if they want to get more control over the camera and can hold the weight is the next step. What do the letters MF / AF on lens mean? When the switch is towards MF to the lens you will need to use the focus ring on the lens. When the switch is towards AF simply half press the shutter button or press the back focus button to focus the lens. So why even use manual focus? There might be a time when your camera can’t focus, such in low light conditions. Sometimes the auto focus may miss focus and using manual focus might help to lock in on your subject. Wedding photography is one of the few photography genres That has a bit of everything. you have portraiture, you have editorial photography, stylized shoot, product photography such as of the wedding rings, event photography at the reception and even landscape and architectural photography when using the bride and groom as a element within the photo. It’s difficult, but extremely rewarding when you get things right. When photographing a wedding the days are long and it’s important to keep one step ahead. so for you to photograph a wedding successfully you need to plan ahead for pretty much everything. It’s essential to have conversations with your bride and groom multiple times before the wedding so you can plan out the day making sure there’s enough time to cover everything they want..
Knowing your locations is crucial so you can figure out the best lighting and make your couple look their best. Just like any business you need to have protection for yourself and also for your clients. A contract that specifically details what you will be and won’t be doing before, on the wedding day and after is extremely important. This will remove any confusion or misinterpretations that your clients may have. It’s also important to make the contract fair for both you and your clients. Bad lighting is common when photographing weddings. You gets thrown into situations where the lighting is less than favourable, also the amount of space you can work with can also be limited. Because of this you need to be able to use both natural light and also your flash when need. During the getting ready stage big windows are your bestfriend, don’t be afraid to move your bride and groom so that you can utilise these beautiful light source that a large window will give you, they work great for portraits and also when you’re doing group photos facing the window works a treat for natural pleasing light. Ceremony – Depending on the time of day you can get away with using natural light in the church if you do need to use your flash it’s best to balance your flash with the ambient light to get more pleasing skin tones. Bridal portraits and family photos – I you are photographing outdoors use a shaded area as your canopy to allow the natural light to illuminate your subject. If It’s too dark start by rising your ISO. If you need more light using little bit of flash, balanced the ambient works great. Be mindful of guess that have glasses as flash may reflect off the lenses. Reception – most receptions are indoors which would mean that you would have to use Flash at some point balancing for the Ambien and bouncing flash off the off the walls or ceiling is your best change at well exposed photos. If you are one of the lucky people that gets a wedding that has an outdoor reception keep on using natural light until you really need to switch to flash. A backup of all your equipment when photographing a wedding is a given, an absolute no brainier that you must have equipment to last the day and backups in the event of a mishap or malfunction even if you’re not getting paid you still need to do the right thing by the couple. Two camera bodies, two lenses, two flashes, double up on your memory cards as well as your rechargeable batteries. Weddings are an all day affair and you need to be prepared at last the whole day. Weddings are long and tiring, sometimes mistakes happen because your trying to do more than one thing at a time. This is why it’s a good idea to photograph weddings in your camera’s RAW format. The ability to correct your photos and save an otherwise useless photo is a bonus. Exposure, white balance, highlights, and shadows can be fixed very easily compared to a photos taken JPG format. It doesn’t excuse sloppy technique, it’s simply a safety net and allows you to get the maximum from the files your camera produces. Spend the start of the session to talk to your clients. If the portrait session is outside, meet at the car park so you can walk to the location together, chit chat will happen more naturally. Ask open ended questions to get your clients talking. How long have you lived in the area? What do you do for work? If kids will also be involved, make sure to also ask them questions as well. What is your favorite subject at school? Favorite movie? To freeze sports action, a shutter speed of 1/500 or faster is needed. I prefer to set mine at 1/1600. I do this to not only freeze the action but to also eliminate any camera movement. Which Lens Is Best For Sports Photography? This would really depend on the type of sport that you’re trying to photograph. How close to the subject you can get will play a big part. You typically see these size lenses at the Olympics and professional sports such as football, soccer, cricket, athletics and gymnastics to name a few. Junior sports where the field will be a lot smaller and your access will be closer to the playing field then you could potentially get away with a 100mm, 200mm or 300mm lens quite comfortably. If you’re using a camera that has a Crop Sensor it will magnify the lens length, as an example Canon have magnification of a 1.6 so a 200 mm lens will become 320 mm making it favorable if you need to get closer to the action. It’s a given that if you’re going to photograph sports you want to get the peak action. This is great everybody loves an action photo, but don’t forget to keep on pressing the shutter even after the action is finished. You can get a lot of powerful photos that are not peak action, capturing the emotion of a play or team after they’ve scored a goal as they are cheering or just as equally powerful photo of the losing team looking dejected. Don’t forget the detailed shots as well, close ups of Hands holding tennis racket, hockey stick or such as a group of runners a close up photo of their feet as a run together in a group. Use a slower shutter speed to show moment in a still photo. If you use a really slow shutter speed you can get some interesting create shapes from the athletes bodies in motion. Most cameras have a screen full of focus points And depending on what you’re pointing the camera at your camera can utilise any one of these Focus points or even a group of them. When photographing sports this is less than ideal because it can sometimes trick the camera into focusing on the wrong subject especially if your photograph sports that are fast moving or even have a lot of players entering the frame which can lead to less than desirable results such as focusing on the wrong player. To overcome this use the centre autofocus Point, Most cameras will allow you to do this via the buttons on the camera body, for some simpler cameras you may need to go into a menu to activate the centre AF point. A wide angle lens will allow you to fit more into the photo. It’s gives prospective buyers a feel for the room. A 8mm, 11mm, 16mm, 20mm, 24mm and 35mm are all suitable lense for real estate photography. The wider the lens the more distortion you’ll get towards the edges of the lens. You notice it the most is when your photos have straight line such as walls, posts, tiles or pretty much anything that has a straight line will appear to be curved or bent. This is easily fixed in lightroom classic using the upright tool. Much like a landscape photo your rooms should be in focus from the foreground all the way to the background. To achieve this a small aperture is needed. I like to use as a starting point of f 5.6 / f 8 for a small room and f 11 / f 16 for larger areas or outdoor spaces. Try to pay attention to every part of the room especially small things such as smudges on mirrors, toilet seats left up, rugs not symmetrical, chairs pulled out and especially reflections in windows and mirrors these mistakes can make your photos come across as amateurish. Unless you are going for the soft look like they used to do by rubbing vaseline on the lens. Remove all lint and fingerprints from your mobile phone’s lens to get clear photos. This simple tip will dramatically improve the quality of your photos. When you pinch and zoom in to a photo, you are using software to zoom in to the photo, making for a more grainy image. Walk closer to your subject if your need to zoom or to achieve a better composition. your phone will auto focus the scene. To take control of your of the focus point and tap an object on the screen to move the focus around. Both iPhone and android phones allow you to manually control your camera settings. If you are thinking about getting a DSLR. this is your first step in starting to learn about the different camera settings before moving up to a more advanced camera. To get the best results take photos in a light source that is big and soft. A large window such as sliding door or a large window is best when taking photos indoors. Outdoor use open shade, you might need to move your subject around to get the best light. I find the best position is a couple feet back from the edge of the shadow.